Nollywood's prolific actor, Jim Iyke is gradually stamping his authority the more as a force to reckon with as one of Africa's most successful actors. The 'bad boy' actor has now sealed a mouth watering deal worth $1.5million own reality show deal. The show, which is titled 'Jim Iyke Unscripted' is a joint production of Africa Magic and Oh Africa TV and it will be aired for one year across both networks and their affiliates; which covers almost the entire continent and syndicated around the globe. Some shots for the show has already been shot for the opening episodes which should hit the screens in some weeks time. The TV show will x-ray the life of Jim Iyke and make the public have an understanding of who the actor truly is. 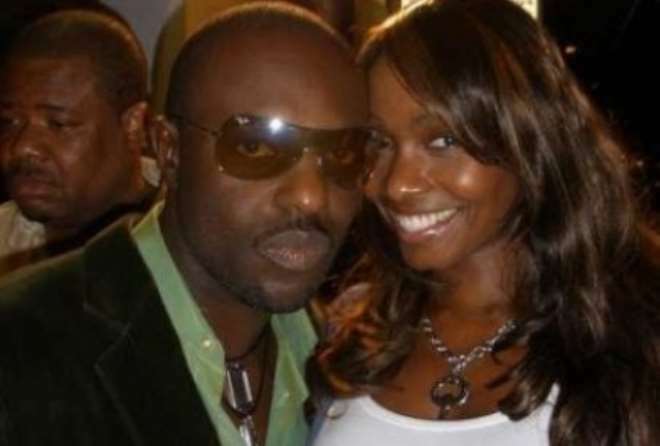 Meanwhile, Jim Iyke took some time out with his Jamaican girlfriend, Ketura Hamilton as they attended that second annual Lasio Fundraiser bash which took place on Thursday, October 25, 2012 at the beautiful and historic Carriage House Center, New York City. Also at the event were stars from the hit VH1 reality show 'Mob Wives'.